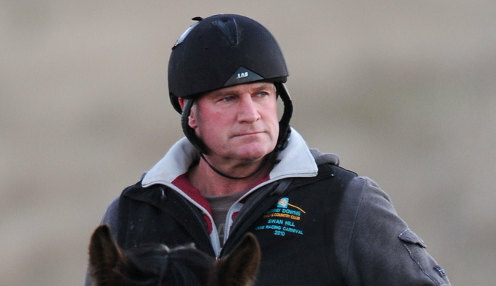 Trainer Darren Weir will have five horses in Saturday's Group 1 Makybe Diva Stakes (1600m) and the stable have declared Humidor will be their top seed. Last year's defending champion and Kings Will Dream, who is the one to beat in the Caulfield Cup, will be Weir's big hitters heading into the race but the stable feel Humidor could have the edge this weekend. Humidor won the race last year and, coming off a strong win in the Group 1 Memsie Stakes this year, the Weir camp has declared he is their top seed. Damian Lane will return from suspension to ride Humidor in the Makybe Diva Stakes. Humidor would be the one," Weir's Warrnambool foreman Jarrod McLean said. "I know there was only a nose between Humidor and Kings Will Dream in the Memsie, but Humidor grows a leg at Flemington and he loves 1600m. "I am sure Kings Will Dream will run really well but there is a leaning to Humidor from us." Weir's other three in the Makybe Diva Stakes are Japanese import and Cups hopeful Tosen Basil, Danon Liberty and Black Heart Bart. "There will be no expectations on Tosen Basil in the Makybe Diva but he is the real deal," McLean added. "He is going to the Makybe then he is going to the Caulfield Stakes then the Caulfield Cup. "We took him to Ballarat to gallop between races on Grand National Steeple day and he did a lot wrong as far as his behaviour out the back but ever since we have seen an improvement at his latest two gallops."